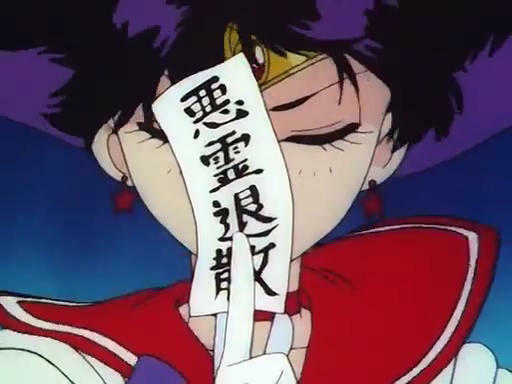 If you’re anything like me, you’ve been reading and watching the adventures of Sailor Moon for ten or even twenty years and have seen Rei throw these strips of shrine-blessed papers at enemies (and even Usagi) without ever once thinking “Well, that’s kind of strange. Throwing papers around seems like an odd way to go about things.” In fact, until I actually started reading up on this for a completely unrelated project, it just seemed so natural to me that of course she would be throwing papers around. I suppose this is because scenes like this actually appear in other anime and manga, so it just seems like yet another anime trope. But if that’s the case, where did it start? How did something like this get embedded into Japanese entertainment in the first place? Before we talk about the throwing, though, let’s first talk about what she’s throwing. 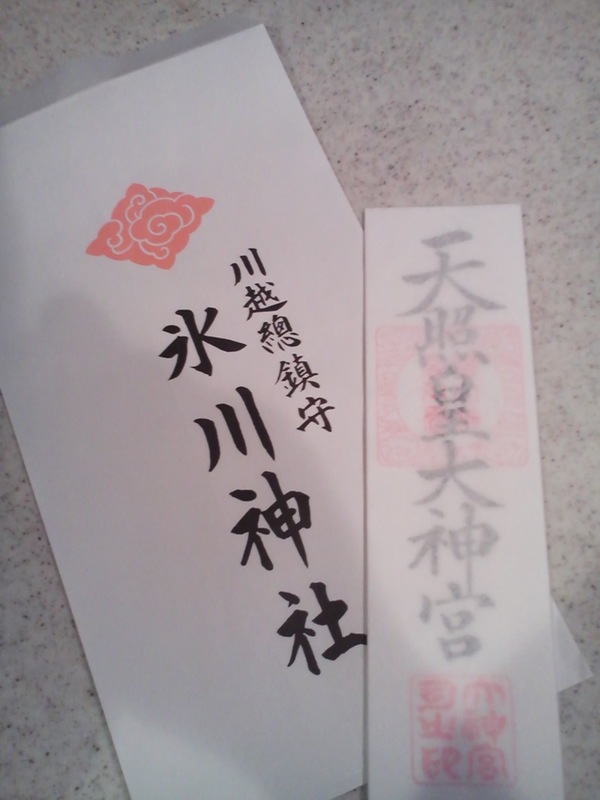 You may have seen these strips of paper referred to as ofuda (お札; paper/talisman) which is what they’re generally called throughout Japan, though the correct name is shinsatsu (神札; lit. paper/talisman of the gods). These are strips of paper coming in a variety of sizes and meant to be used as a sort of charm or talisman to ward off evil and bring good luck to you and your home. They typically either contain a phrase – in the case of Rei’s, aku ryo taisan (悪霊退散; evil spirits, begone!) – or the name of the shrine it came from, and are often stamped with the shrine’s official seal. So now that we know what it is, the next astute question would be “well, what does it supposedly do?” You know, why is it that Rei actually puts these things on youma, demons, Usagi’s forehead, etc.? The idea is that the ofuda is a manifestation of the god of the shrine from which you got it, and the demon, etc. is unable to fight against it. Different gods govern over different things (love, studying, money, etc. ), so obviously it’s in your best interest to find a god relevant to your needs. As for why Usagi (whom we assume is not possessed by an evil demon) is affected by it, the safe guess would be that the power of the god is so overwhelming that it affects even normal people. Or Rei just throws it really hard. Either one. That brings us up to speed and to a point where we can actually answer the question: why does Rei throw them, and why is it seen so commonly in anime and manga? A young priest-in-training he wants to go looking for chestnuts in the woods and begs the priest let him go out. 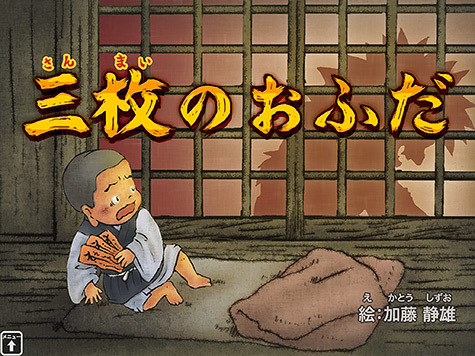 Finally, the priest relents and gives the young boy three ofuda to keep him safe. The boy heads out into the forest and gathers up chestnuts throughout the afternoon and evening before realizing it’s dark and too late to go home. Suddenly, an old woman appears and offers to let him stay at her house until morning, and he goes home with her. As often happens in these stories, he awakens to see the old woman is actually a witch of the mountains and is sharpening her knife to get ready to cook him. He tells her that he has to go to the bathroom, so she puts him in a net and drags him off to the outhouse, where he quickly puts one of the ofuda on the wall and prays: “Please god, if anything happens, pretend that you’re me.” And with that, the boy sneaks out the window in the bathroom tries to make his escape. The witch knocks on the door and hears the boy reply “just a moment!” Three times this happens before she realizes that she’s been fooled and dashes off. She finally catches up with the boy and he whispers to the ofuda, “please set forth a giant river.” He throws it at the witch and out comes a giant river, which she starts to gulp down. Finally, he takes out his last ofuda and asks it to “unleash an ocean of fire” before once again throwing it at her. As it erupts into flames, she shoots out the water from the river, dousing the flames, but giving the boy a chance to escape. The boy runs through the gates of the shrine and the head priest steps out to confront the witch. “So, you think you’re so powerful, eh? If you’re so strong, you could grow to the size of a mountain!” Without a moment’s hesitation, the witch grows, towering over them. “If you’re so powerful, you could be as small as a bean!” he challenges. Barely waiting for him to finish, the witch shrinks. Right then, the head priest scoops her up, puts her in his rice cake, and eats her. And to make a very long story short, this is why Rei throws her ofuda at enemies. As she throws them, she is asking the gods to give her their energy and to use it to fight the youma or any other enemy the Sailor Soldiers encounter. Who knew! ← What Gun Did ChibiUsa Use to Threaten Usagi?